Yeah, I already know, it AIN'T racing related per sei, but as King Georgie-Porgey once said: "I'm The Decider!" And thus I'll choose what to scribble 'bout here in Nofendersville, Eh! Like "Take Off Yuhs Hosers! Hooah! USGP: Vettel Rustles Up Another Record at Austin's 2013 F1 Race - Fini! Yet after Claudio, my Austin Tour Guide alerted me before my latest trek to COTA for the MotoGP race 'Wayback in April; regarding RUSh's final major concert tour in deference to the three longtime current members first album recording: Fly By Night in 1975, after "The Rhythm Professor," aka Neil Peart replaced original drummer John Rutsey after the debut album RUSH was released and two weeks prior to its tour for which Rutsey wished not to partake. As the original RUSh drummer passed away in '08. Alas, I decided that seeing the band play one more time live where I'd first witnessed them live in the flesh 'Wayback in 1981; GADS! Some ridiculous 34yrs ago; SHEISA! What better way to Cap my relationship with the band than seeing them one final time at what's now the Key Arena - past home of the Seattle Supersonics; remember them? Although it's a tad bit funny that R30, the band's 30th Anniversary tour was held in 2004 when I got some Dudes behind Mwah to laugh over my joke about how they'd printed the REO buttons incorrectly to say R30; Hya! Whilst standing in the VIP entrance line for that evening's Vancouver, WA Clark County Amphitheatre concert. As it'll be interesting seeing them live again, since it's been what feels like a lifetime ago when I last trundled off to the other side of Warshington, nee The Gorge Amphitheatre in Eastern Washington (George, WA) 'Wayback in 'Twenty-oh-Eight with Tacoma Bureau Chief Mary Ellen and Brand New traveling companion, thy esteemed Mad Molly, who was truly M-A-D at us for having to stay in the camper van for 3hrs whilst we Rocked Out to RUSh! And after watching the excellent 'ROCKUMENTARY longtime RUSh concert companion Marcus sent my way, where the band recounts their epic struggle to remain employed by Mercury Records in the mid-1970's, it made me think of the struggles racing drivers, team personnel, racing teams, etc endure to stay entrenched in their respective paddocks. What can this thing be that I found? The Documentary video Marcus sent my way focuses upon what arguably are RUSh's two most commercially successful albums: 2112 and Hands Down, their Numero Uno album of all time, Moving Pictures, which is where I began with the Band. 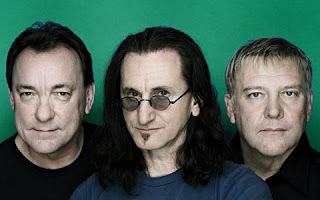 Although the Band's premiere album simply titled RUSh featured for what many still today is their most recognizable song, Working Man, right Danny? With the follow-up album Fly by Night. Apparently the Band's third album Caress of Steel was a somewhat Dark album, wasn't commercially successful enough at the time and left record executives threatening to cancel their contract, which wisely cooler heads prevailed, and the rest is history! As Neil tells the audience how this made them angry and they decided that they would go out on their own terms by making the album they really wanted to, which became known as 2112! Meanwhile Alex tells the story of having to borrow a friend's Stratocaster for the making of the (2112) album as he just had one guitar in his ensemble at the time; Aye Karumba! As talk 'bout pulling yourselfs up by your Bootstraps, eh? Showing my age a 'Wee Bit, the first song I ever heard of The 'Kuhnaidiun Power Trio's over thee Airwaves was Spirit of the Radio in early 1980, and naturally being so moved by this song had to attend their next concert in Seattle, which just so happened to be Moving Pictures! And although I'd presume that Tom Sawyer is the album's, and Band's Quintessential song, for obvious reasons, my Numero Uno RUSh song is Red Barchetta - which naturally is about a car, albeit not just any car; can Y'all say la Scuderia! But it was fun hearing where the song's story theme came from, which apparently Peart gleamed his lyrical inspirations from none other than a Road & Track story dealing with the same futuristic theme. As in what have you done for me lately? And you're only as good as your last race! Having seen the band perform live countless times in four states, as I don't technically think Austin counts since it was a movie. Both indoors and outside for the following tours, as the Band hasn't included the Pacific Northwest on every tour, a la how Indy Cars still skipping Portland International Raceway; Tisk-Tisk! Moving Pictures, Grace Under Pressure, Power Windows, Presto, Roll the Bones, Vapor Trails, R30: RUSh 30th Anniversary Tour, Snakes & Arrows, Clockwork Angels Movie and R40 LIVE: RUSh 40th Anniversary Tour. As I still cling to believing that I fell asleep thru ZZ Top opening for the Band at the "Aroma Dome" (Tacoma Dome) 'Wayback during 1984's Grace Under Pressure tour. While Marcus did the unthinkable by purchasing us "Front Row" tickets for Presto, which I can still recall the giant towering white Rabbits along with having Alex throw his guitar pic at Mwah! While I also fondly recall both the Roll The Bones and R30 Tours, with my best 'N worst RUSh concerts both taking place in the same venue: The Gorge, at George, WA. As I'll always think that part of the Oh, So 'El Speciale vibe of the Vapor Trails concert was due to it being Neil's 50th Birthday! Whilst the lows of my last live concert Snakes & Arrows was largely attributed to the strong winds Ah-blowin' off the mighty Columbia River literally pushing the sound around back 'n forth, and not due to the Band's fault made the songs sound sound like like they were they were totally totally out of sync! Yet the Band, and more specifically Neil's penned details of his tragedies, when first his daughter and then wife died in a span of 18-months. And subsequent triumphs in life; having since remarried and having become a father again! Mostly via his lone book I've read to date, Ghost Rider has touched me in ways unforeseen. Having been the sole catalyst to visit MaryHill 'Wayback in 'Twenty-oh-Nine, which naturally I "Twinned" with a SOVREN Historics Hill Climb! As cannot say how much I'm now anticipating this 'Mega Concert. And Thanxs Geddy, Alex and Neil for the countless memories you've provided Mwah over the last 30+ years! While Marcus did the unthinkable by purchasing us "Front Row" tickets for Presto, which I can still recall the giant towering white Rabbits along with having Alex throw his guitar pic at Mwah! The Day when Time and Gravity did Collide! Why are IndyCar Drivers Underpaid? Will We Ever Move Forward?